We had one Offshore charter go out today, and they came back with a little bit of everything Yellow-fin Tuna, Black-fin Tuna, and Mahi.. 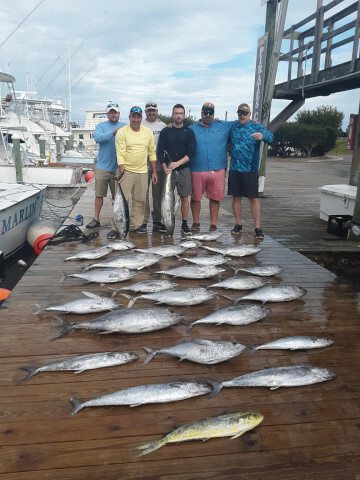 Tomorrow looks a bit windy, but hopefully it won’t last long… The Tuna bite is looking good, so be sure and come see us in the Ship’s Store, give us a call 252.473.3906 or visit us online at www.fishpiratescove.com so we can help you book your Fishing Adventure.!. !